Ben Folds will co-headline a campaign fundraising event for Tennessee Democratic U. S. Senate candidate Phil Bredesen on August 20. Sharing the stage at Nashville’s Marathon Music Works will be singer-songwriter Jason Isbell. The evening event, being called Our Country, Our Future, includes Delta Rae in support of the former two-term Tennessee governor making his bid for the U. S. Senate in the fall election. Bredesen and his challenger, Republican U. S. Representative Marsha Blackburn, recently won their parties’ primary elections. While no Democrat has been elected to the Senate from Tennessee since Al Gore in 1990, Bredesen, who considers himself a moderate, holds a slight lead in polling against Blackburn in the race. They’re vying to fill the seat currently held by Republican Bob Corker, who announced his retirement from the Senate last year. Folds, no stranger to politics, endorsed U. S. Senator Bernie Sanders (I-Vt.) in his run for the Democratic presidential nomination ahead of the Michigan primary in 2016. Sanders won Michigan but fell short nationally to Hillary Clinton (D-N.Y.). 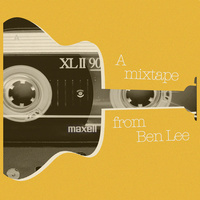 It’s a recent project by Australian singer-songwriter Ben Lee, not Ben Folds, though it does feature a track on which Lee is joined by Folds on Life As Unusual. The album features several other artists who sit in with Lee, including Zooey Deschanel, Sean Lennon and Neil Finn, and is a benefit for the Q’ero Project, which supports the Q’ero people of Peru, the last living vestige of the Inca people. It’s available as a digital download on a pay-what-you-wish basis. After almost 23 years in the music business I never presume to know what is around the next corner, and I certainly didn’t see signing to Warner Bros. Records coming. The release of the mixtape project is a great milestone for me, as it has been in the works for over a decade. I’m looking forward to sharing the music with my loyal fans, as well as supporting one of my favorite charities, Inkarri, for their wonderful Q’ero Project. Lee will release a full-length album, Love Is The Great Rebellion, later this year. And as you will recall, Folds, Lee and another Ben – Kweller – collaborated on a tour of Australia and subsequent album in 2003. In recognition of the many species of trees in Nashville’s Centennial Park and the role they play in our everyday lives, the Nature Conservancy has sponsored a series of short videos featuring some of the country’s top musical performers talking about their favorite tree. Ben Folds is fond of the sweetgum, a tree native to North Carolina, and he recorded a tribute to the species with many interesting factoids about it. 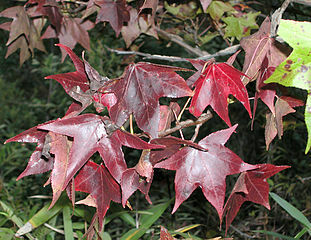 “Native Americans used sweetgum sap to treat their wounds, and when it hardened, they used it for chewing gum,” Folds said of the tree that can grow to over a hundred feet tall and which turns brilliant shades of red and yellow in the fall. Ben Folds has been announced as the headliner for this summer’s PopUp Brooklyn do-it-yourself picnic dinner and fundraising event for the Prospect Park Alliance, a community effort to preserve and improve the storied greenspace in the heart of Brooklyn, New York. Advance pre-sale tickets for the June 28 event sold out in April but others can ask to be placed on the guest list and purchase tickets ($35 per person). When you think of service, you think of the waitperson who brings you your meal in a restaurant (or perhaps fills your gas tank, if you live in New Jersey). When you think of the Mall, you think possibly of the place where that restaurant is located, or a big shopping complex. Well, in this case “service” refers to the National Day of Service, founded by President Obama as part of his family’s commitment to give service to others. This year’s National Day of Service is Saturday, January 19, and volunteers all across the country will be giving of themselves to improve their communities and serve others. In recognition of that effort, Ben Folds will be performing, not at your nearby shopping center but at The Mall, as in The National Mall, the vast expanse of real estate flanked by the Capitol, the White House, and the Lincoln Memorial in our nation’s capital. Thousands of volunteers are expected to converge on Washington for the Martin Luther King Day weekend leading up to the inauguration, and many will be able to hear Ben’s performance. Ben’s form of service is his support of music therapy, a broad spectrum of assistive therapy involving music in all of its forms for the betterment of health and well-being, and he has partnered with The George Center for Music Therapy in Atlanta to help bring music therapy to those who need it.